Paul George absolutely destroyed the Nets on Wednesday night as the game hit a fever pitch, and he also made some personal history to close it out. George hit a three-point shot with three seconds left in the game to give the Thunder a two-point lead after being down by as many as 22 points in the third quarter. 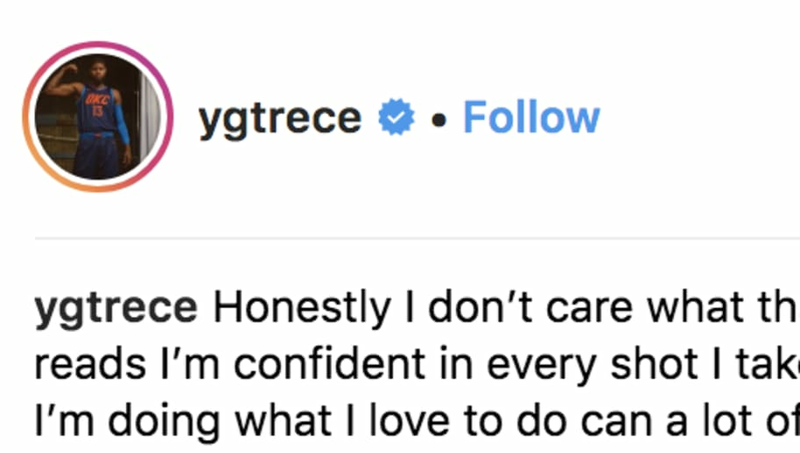 Somehow, it was his first career go-ahead shot in the final 10 seconds of a game, and when Bleacher Report recognized that, PG had to come back on his Instagram and send a message to all the haters. He reposted the photo with the caption: "Honestly I don't care what that stat reads I'm confident in every shot I take and I'm doing what I love to do can a lot of you say the same?!" George has been one of the best players in the league since 2013, and while he's had some clutch moments, he just never seems to get that final shot to go down when his team really needs it. On Wednesday, he simply couldn't miss, though, en route to 47 points, and his brick streak at the buzzer finally ended. Season high 47 PTS. Game-winning triple. George coming back to Bleacher Report like that seems pretty petty. They're not lying about the stat, and there were plenty of posts that displayed it after he blew two straight game-winners against LeBron and the Cavs back in the 2017 playoffs. He only comes back now because he finally made one? George and the Thunder are on a roll and he saved them from what could have been an embarrassing loss last night, so he can say what he wants for now. He's just got to remember that it goes both ways. Don't think we've forgotten Playoff P's disastrous five-point show against Joe Ingles and the Jazz last April.